battleBLAST Laser Tag opened its doors in June 2012 and is locally owned and operated by Paul and Rhonda Mikologic. 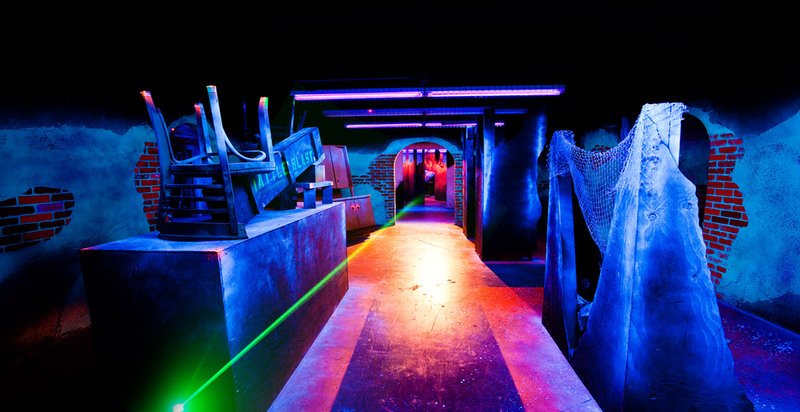 At battleBLAST Laser Tag, we offer an experience different from any currently available in Las Vegas. With a state‐of‐the‐art laser tag game system along with our full service party packages, an awesome arcade, and our fantastic staff – everyone has a BLAST. Rhonda and Paul are the parents of teen boys – Kyle and Sean. Prior to moving to Las Vegas over 10 years ago, the Mikologic’s resided in Chicago. Paul and Rhonda were local mechanical engineers who decided to open a family fun center, because they felt that Las Vegas lacked options for healthy, family entertainment. “We conceived battleBLAST as a fun place where kids and their parents can play and enjoy themselves in an environment built with their unique interests and safety in mind”. battleBLAST Laser Tag has teamed up with Bricks4Kidz and Engineering for Kids to create a unique series of Summer Camps. Our full day week long Summer Camps will help your child build friendships and create great memories! → A Camp experience unavailable anywhere else! Also, we are offering to Pogo Pass holders the opportunity to upgrade their free one game to one of our All You Can Play sessions for only $10. All You Can Play is typically $20 per person, so this is a great deal for a great deal of fun!